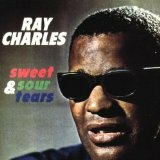 Sweet And Sour Tears is ranked 19th best out of 42 albums by Ray Charles on BestEverAlbums.com. The best album by Ray Charles is Modern Sounds In Country And Western Music which is ranked number 1296 in the list of all-time albums with a total rank score of 1,813. Members who like this album also like: Shake Down by Savoy Brown, Them Dirty Blues by The Cannonball Adderley Quintet and Folk Singer by Muddy Waters. Jefferson Theatre, Beaumont, United States. Middle East - Zuzu, Cambridge, United States. Coney Island Baby, New York, United States. Related links: top tracks by Ray Charlestop tracks of the 1960s, top tracks of 1964.